​Kidney or renal cell cancer is a disease in which malignant (cancer) cells form in the tubules of the kidney. Doctors from the Urology Centre at Singapore General Hospital share its associated risk factors and symptoms. ​kidney cancer accounts for 1 to 2 per cent of all cancers and most often affects the elderly over the age of 65. Kidney or renal cell cancer is a disease in which malignant (cancer) cells form in the tubules of the kidney. In Singapore, it accounts for 1-2 per cent of all cancers or approximately 2.4 and 1.3 of every 100,000 men and women respectively. The prevalence of this disease has been rising in recent years at an annual rate of approximately 2-3 per cent and this has been attributed to the use of computed tomography (CT) scan and ultrasonography for other complaints. As is the case for other human cancers, kidney cancer is a disease commonly affecting the elderly with nearly 2 out 3 people diagnosed over the age of 65. 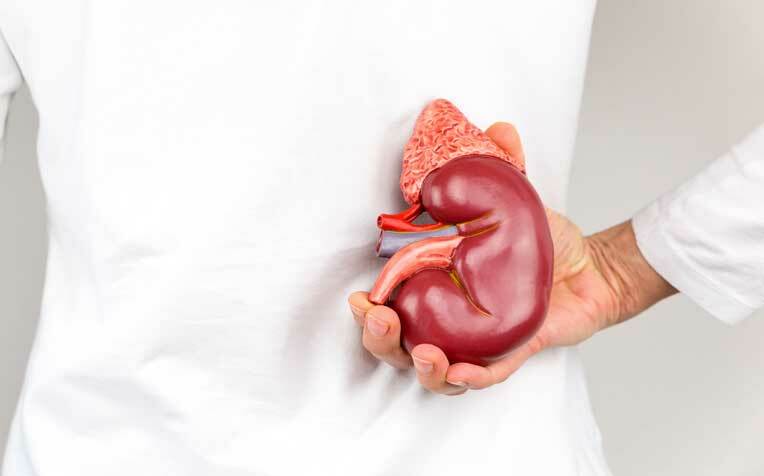 "Kidney cancer is rare in people under 50," say doctors from the Urology Centre at Singapore General Hospital, a member of the SingHealth group. Smoking. Smokers have approximately double the risk of non-smokers. Contact with certain chemicals. Workers in contact with chemicals such as aniline dye and heavy metals have a higher risk. End stage kidney diseases that require kidney dialysis. Chronic intake of mild painkillers, such as paracetamol, and non-steroidal anti-inflammatory drugs (NSAID), such as ibuprofen and aspirin. Most of those affected have a sporadic or a non-hereditary form of kidney cancer. A hereditary form of the disease occurs in a small subset of patients (less than 5 per cent of the total) due to the presence of faulty genes. These inherited conditions that predispose one to kidney cancer include Von Hippel-Lindau (VHL) syndrome, tuberous sclerosis, Birt-Hogg-Dube syndrome, and hereditary non-VHL clear cell and papillary renal cell cancer. The majority of those with kidney cancer are diagnosed when they are investigated for other complaints, even though they have no specific symptoms related to the disease. Kidney cancer diagnosed this way is usually small and at an early stage. On the other hand, about a third of all those with the disease will present late with the disease at an advanced stage. See next page to learn about the diagnosis and treatments for kidney cancer. ​How Is Kidney Cancer Diagnosed and Treated?